The National Center for Earth and Space Science Education, and Arthur C. Clarke Institute for Space Education, are proud to report that NASA Johnson Space Center has written a feature article on science results reported by SSEP student research teams at the 2014 SSEP National Conference held July 2-3 at the Smithsonian National Air and Space Museum. We have reprinted the article in its entirety below with NASA’s permission. The article was published on August 6, but we wanted to wait until the beginning of the new academic year to put up this post. It is noteworthy that this is the 12th NASA Feature Article on SSEP since program inception in June 2010, just a little over 4 years ago (see NASA coverage). There were 29 Student Research Teams that gave oral and poster presentations at the 2014 Conference, reflecting delegations from 24 SSEP Communities. The Teams reflected SSEP Missions 3, 4, 5, and 6. The Mission 3a experiments comprising the Falcon I payload had returned to Earth aboard Soyuz 35S on November 10, 2013. The Mission 3b Falcon II and Mission 4 Orion experiments payloads had returned to Earth aboard Soyuz 36S on March 10, 2014. Mission 3 and 4 teams therefore had the ability to report on post flight results. The Mission 5 Charlie Brown payload was launched on Orb-2 from the Mid-Atlantic Regional Spaceport (MARS), Wallops Island, VA, 1.5 weeks after the conference on July 13, 2014. Mission 5 teams were therefore reporting on experiment design and preliminary ground experiment data and analysis. The Mission 6 Yankee Clipper payload is projected to be launched in October 2014 on Orb-3 from MARS. Mission 6 teams were therefore also limited to reporting on experiment design and ground experiment data and analysis. In every sense, this was a very formal and very real scientific research conference, reflecting the commitment of SSEP to immersion of communities in an authentic research experience, and real spaceflight. 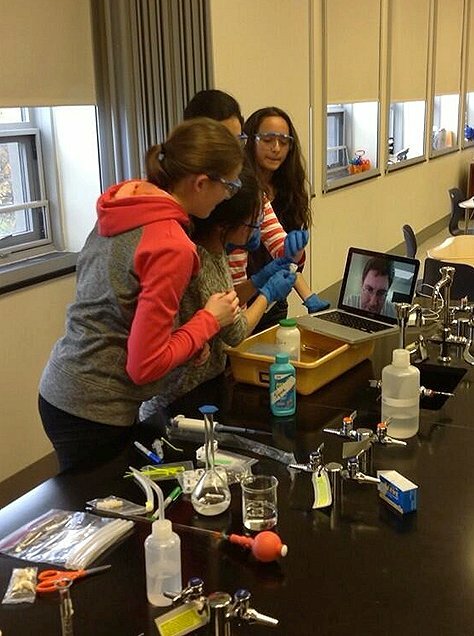 More generally, it reflects SSEP’s design as a model U.S. national STEM education program that embraces the Next Generation Science Standards, and transdisciplinary engagement. The Smithsonian taped all 29 oral presentations, as well as the presentations by the featured speakers. Post production work on the raw video footage should be complete – and the videos uploaded to the SSEP Scientific Return and Reporting pages – by September 8. Once uploaded, an announcement will be made via this blog. You can read an overview of the 2014 SSEP Conference, see the Conference Agenda, read about the student teams and their Oral Presentations, and read about the featured speakers. Microgravity researcher Michal Bodzianowski assessing ground tests in the Fluids Mixing Enclosure (FME) mini-lab for his Internationals Space Station investigation. Miranda McMillan and Christina Murray, co-principal investigators for Microencapsulation in Microgravity, which flew on the International Space Station from January to March 2014, prepared thoroughly to present their results to colleagues. The two women met during study hall and lunch periods to examine the data from their investigation and determine what it meant. Wait. Study hall? Lunch? 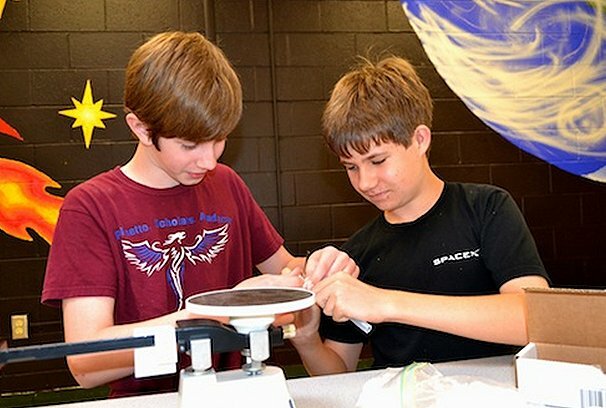 That’s right; McMillan and Murray are tenth graders at Pennsylvania’s Downingtown STEM Academy and participants in the Student Spaceflight and Experiments Program (SSEP). 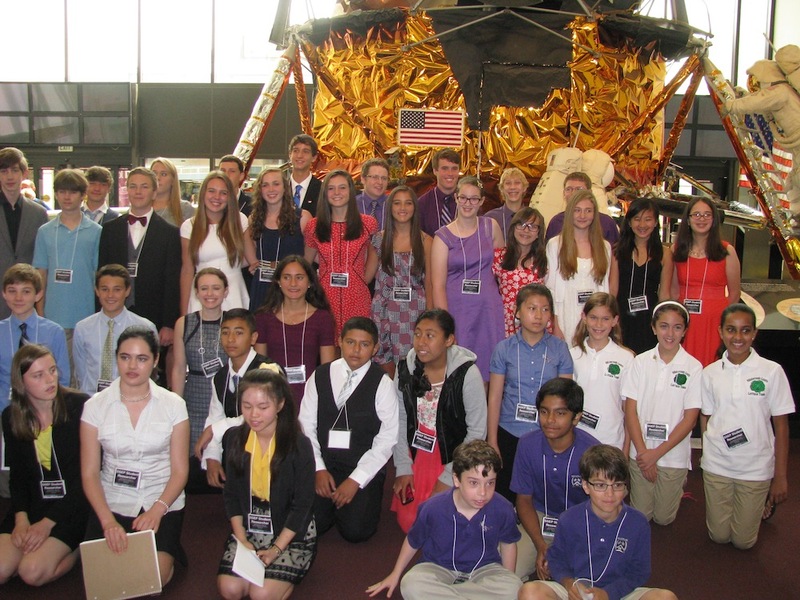 Their team was one of 29 that presented at the 2014 SSEP National Conference hosted by The Smithsonian National Air and Space Museum, the National Center for Earth and Space Science Education (NCESSE) and the Arthur C. Clarke Institute for Space Education July 2 and 3 at the Smithsonian. The conference brought together students who engaged in experiment design and proposal writing for any of eight SSEP flight opportunities to date, along with their teachers, school administrators and families. There have been three previous conferences. Each of the 29 teams made both oral and poster presentations on the science addressed by their investigations. Presentations covered the essential questions behind the studies and their experiment design, including how they analyzed results and, for flight experiments that returned well in advance, the actual analysis and findings. Often, those results are different from what the investigators predicted, just as in the professional world. The Downington students, for example, expected microgravity to cause a microencapsulated extended-release medication – in this case Aleve, with the active ingredient Naproxen – to dissolve more slowly. But their analysis showed no significant difference between rates on Earth and in microgravity. “That means it would not make a real difference for people taking the medication,” said McMillan; or, in other words, the microencapsulated medicine would be safe to use in space. Michal Bodzianowski, a sixth grader at the STEM School and Academy in Colorado, designed a study titled What Are the Effects of Creation of Beer in Microgravity and is it Possible? The goal was to test differences in fermentation alcohol levels between Earth and space. He also takes it in stride that results were the opposite of what he expected. “A big part of science is dealing with how your hypothesis was wrong,” he said. “You learn more from mistakes than successes. In this case, there might have been some errors in the way we measured the experiment, although that was the best way we could do it.” He saw the conference as an opportunity to get ideas about what might have happened from fellow students, as well as to learn about other studies that didn’t go as expected. 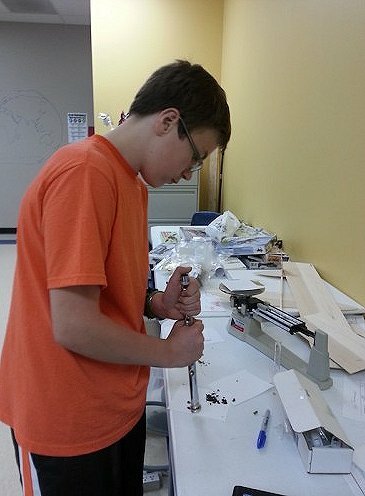 Griffin Eslinger and Alexander Puckhaber, ninth graders at Palmetto Scholars Academy in South Carolina, examined the structural integrity of an iron bar immersed in a saltwater solution in microgravity for How Does Microgravity Affect the Oxidation of Iron in a Saltwater Solution? They also received unexpected results. While they predicted that the bars would oxidize faster in space and thus be weaker than those tested on the ground, they actually found no significant difference between the two. “A good thing to take away from that is to consider all the variables,” Eslinger said. The students think behavior of the water’s surface tension in space could have affected its contact with the bars, something that perhaps could be countered by lining test containers with a water-repellent material. SSEP was launched in June 2010 by NCESSE in the U.S. and the Clarke Institute internationally. The program is enabled through a strategic partnership with NanoRacks LLC, working with NASA under a Space Act Agreement designed to help use the International Space Station as a national laboratory. The Center for the Advancement of Science in Space (CASIS) is a national partner on SSEP, and it also provides funding for communities that would otherwise be unable to participate. “This is real microgravity research that goes to the space station, and many teams get results,” said Goldstein. “There is also something very powerful in seeing students as young as fifth and sixth grade up on stage in the Smithsonian reporting on the design and results of their experiments with incredible poise.” No matter what the results.